These Buffalo Deviled Eggs are such a delicious and fun appetizer to serve at parties throughout the year! Keep this recipe on-hand for those times that you plan to prepare a dish-to-pass appetizer and want to offer something that is diet- and allergy-friendly! This recipe is perfect for ketogenic, paleo, Whole30, and nut-free diets! I love developing recipes that are allergy-friendly, diet-compliant, and can be enjoyed by everyone! This recipe for Buffalo Deviled Eggs is no exception! 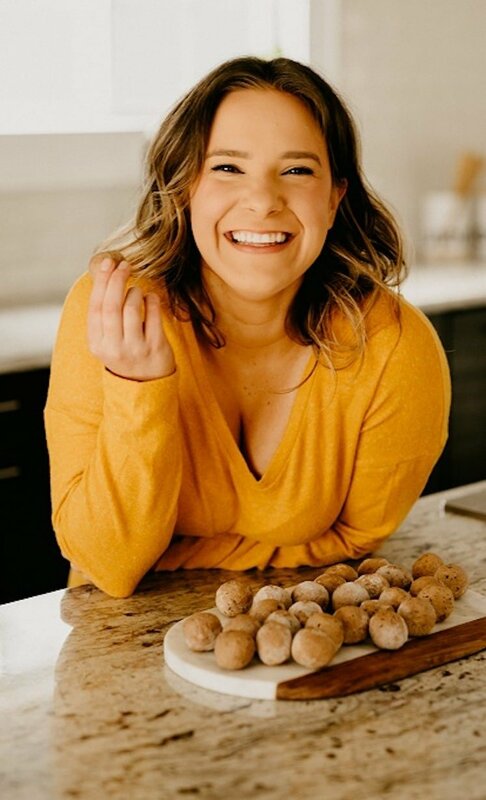 I mean, who doesn’t love a delicious, low-carb, bite-sized snack?! 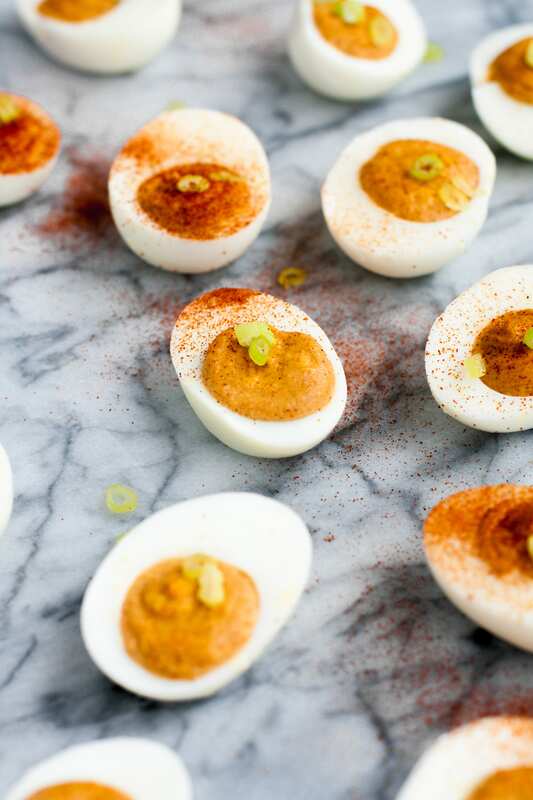 These Buffalo Deviled Eggs are full of flavor, low in carbohydrate content, and are safe to consume for many who follow a specific diet or have a food allergy or intolerance. 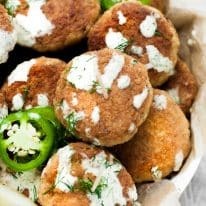 We love to make these for holiday parties, family gatherings, and even just for a midday snack when we need something small to tide us over between meals! 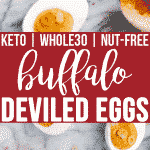 Keto and Low-Carb: These Buffalo Deviled Eggs are incredibly low in carbs and are very keto-friendly. One serving of this recipe contains less than one gram of net carbs! Paleo and Whole30-Compliant: Free from gluten, grains, dairy, soy, and sugar, this recipe is both paleo- and Whole30-compliant. Nut-Free: This recipe is made without any nut-containing ingredients and is safe to consume for those with nut allergies or nut intolerances. 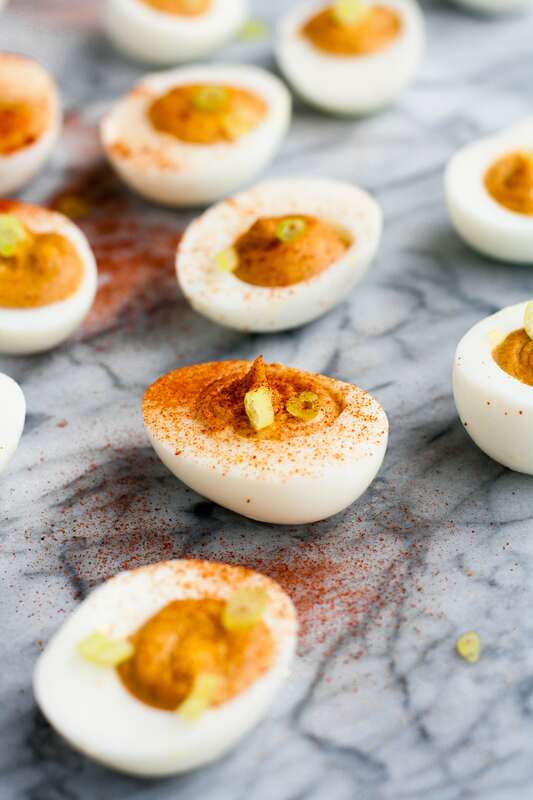 Dairy-Free: These deviled eggs do not include any dairy products and are therefore a great recipe option to have on-hand when cooking for those with a dairy allergy or lactose intolerance. Coconut-Free: There are no ingredients in this recipe that contain coconut. Vegetarian: This recipe is safe to consume for those who follow a vegetarian diet. Sugar-Free: This recipe does not contain any added sugar. This recipe is perfect for ketogenic, paleo, Whole30, and nut-free diets! 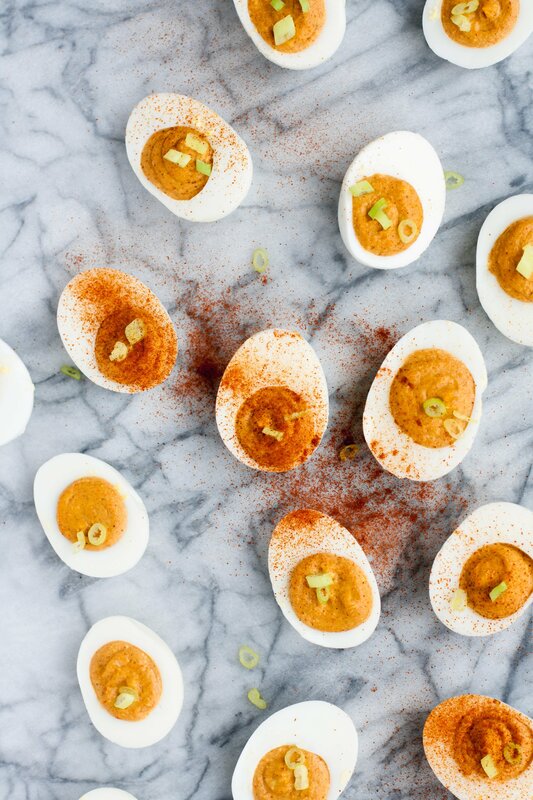 You will love how simple it is to prepare these buffalo deviled eggs! The preparation of this recipe is extremely easy, straightforward, and the deviled eggs can be prepared and ready to serve in under an hour! To ensure the eggs peel properly after boiling, I highly suggest transferring the eggs into an ice bath immediately after boiling, which is described in the recipe instructions below. This will help the egg white to cool away from the shell, making the peeling process much easier! I have also found that peeling the egg from the thin, film layer that is directly below the shell results in a perfect peel! To pipe the buffalo-spiced yolk mixture into the egg whites, I would recommend using a piping bag, which you can likely purchase at your local grocery store in the baking aisle or purchase directly from Amazon. Less than 1 gram of net carbs in one serving of these Buffalo Deviled Eggs! These Buffalo Deviled Eggs contain only 0.9 grams of net carbs per serving! 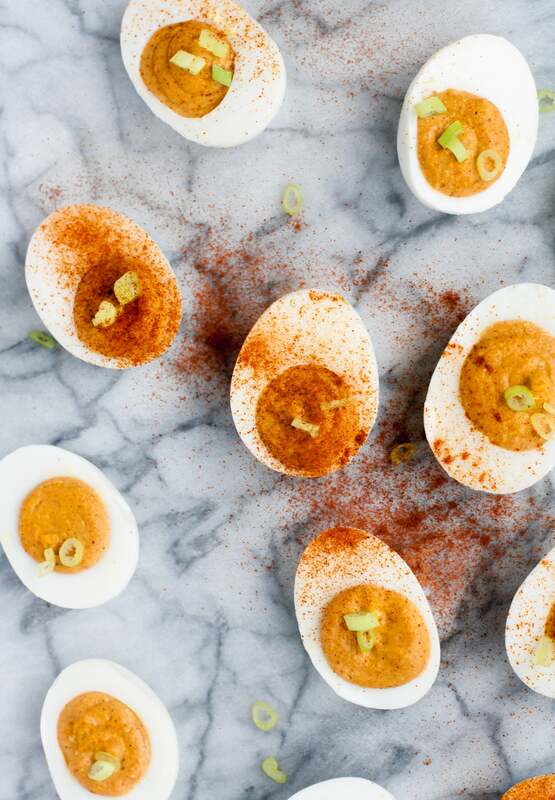 This recipe yields 24 deviled eggs. 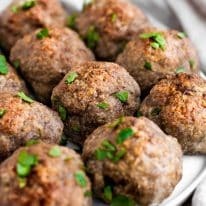 This recipe is keto, low-carb, paleo, Whole30-compliant, nut-free, dairy-free, coconut-free, gluten-free, grain-free, vegetarian, and sugar-free. 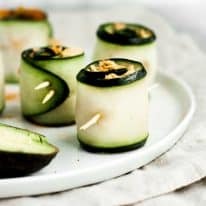 Check more keto-friendly appetizer recipes and Whole 30 Recipes! These Buffalo Deviled Eggs are the most flavorful keto-friendly and paleo-compliant appetizer! This recipe is keto, low-carb, paleo, Whole30-compliant, nut-free, dairy-free, coconut-free, gluten-free, grain-free, vegetarian, sugar-free, and contains only 0.9 grams of net carbs per serving! In a medium pot, fully submerge eggs in water and, over medium high heat, bring water to a rolling boil. Reduce heat to medium low, cover pot with lid, and boil eggs for 10 minutes. Meanwhile, prepare ice bath in a large bowl. Remove pot from heat and carefully drain water from pot and immediately transfer eggs to ice bath. Allow eggs to cool off in ice bath for 10 minutes. Meanwhile, to a medium mixing bowl, add buffalo seasoning spices, mayonnaise, and mustard. Set aside. After eggs have cooled, peel shells away from eggs and slice eggs in half lengthwise. Remove yolks from whites and transfer yolks to bowl of buffalo seasoning, mayonnaise, and mustard. Using an electric mixer, mix together yolks, spices, mayonnaise, and mustard until smooth and well-combined. Transfer yolk mixture to piping bag and pipe into egg whites (Alternatively, if you do not have a piping bag, spoon a dollop of mixture into yolks). Top deviled eggs with optional garnishes as desired. Store deviled eggs in airtight container in the refrigerator and consume within 3-4 days. I made these for a party and they were a huge hit..so yummy! I’m so happy to hear that, Lara!!! Thanks so much for taking the time to leave a comment and recipe rating!